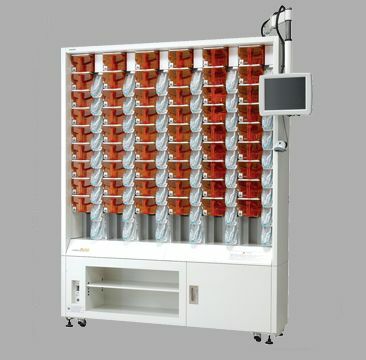 Semi-automatic vial filling machine "EV54". The EV-54 holds 54 factory-calibrated 900cc canisters.  This device is very simple and user-friendly. Additionally, the performance has been highly commended by our customers, capable of filling in excess of 100 prescriptions per hour in a compact 57"W ×12"D × 75"H frame. 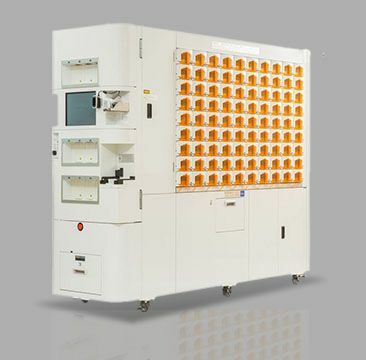 The EV-54 has 54 locking canisters that can only be opened through software access, so drugs are secure until they are dispensed. With features like Yuyama’s superior counting technology, barcode verification, locking cassette system, and direct fill, Yuyama EV-54 sets the standard for safety. 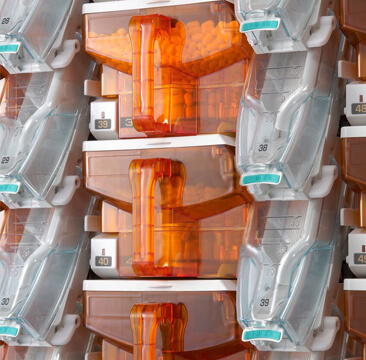 The EV-54 fills directly from drug cassettes to eliminate the chance of cross-contamination. To maximize safety, drugs can only dispense from their appropriate locations. 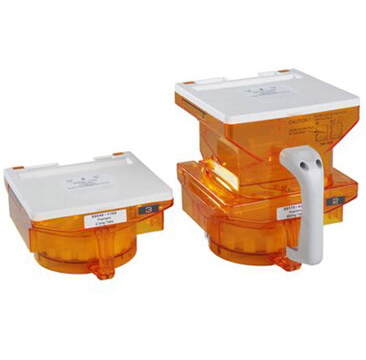 The EV-54 can also split large prescriptions in up to 3 vials. The device is also versatile in that in can accept any type of vial. 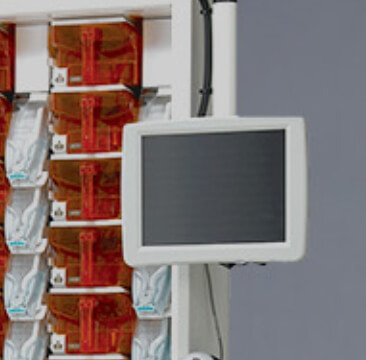 The EV-54 is modular and can be expanded to include up to 5 units, or 270 cells. 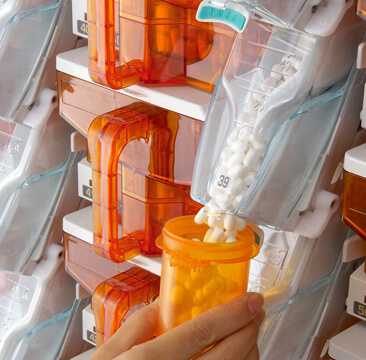 It is slim, efficient, and designed to allow flexible layout options for smaller or growing pharmacies. The EV-54 costs less than other types of automation, has fewer components, and is simple to use and maintain. The EV-54 is completely customer-oriented. The canister chutes and canisters are easy to detach for cleaning. Users of the EV-54 no longer have to worry about complex maintenance and can focus on their customers. 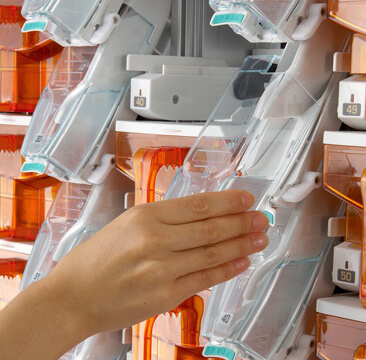 Yuyaya has created a simplified and easy-to-use vial- filling solution.